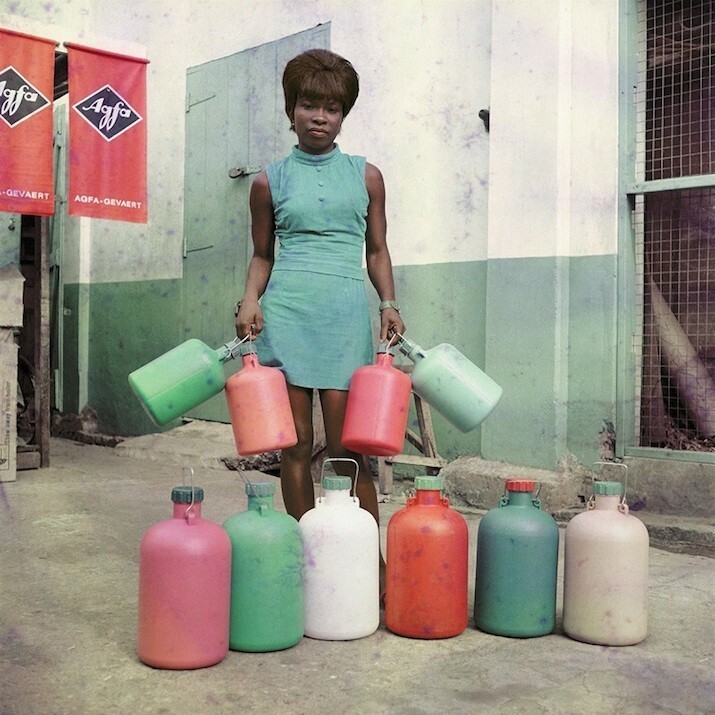 In partnership with Autograph ABP, the Rebuild Foundation presents the American debut of this critically acclaimed retrospective solo exhibition by the celebrated African photographer James Barnor, showcasing a wide selection of street and studio portraiture from the 1950s to the early 1970s. Born in 1929 in Accra, James Barnor is considered a pioneer of Ghanaian photography whose long career covers a remarkable period in history, bridging continents and photographic genres. Through the medium of portraiture, Barnor’s photographs represent societies in transition: Ghana moving towards its independence from colonial rule, and London becoming a cosmopolitan, multicultural metropolis during the ‘swinging’ sixties. In the early 1950s, Ever Young – Barnor’s photographic portrait studio in Jamestown, Accra – was frequented by a diverse clientele representing all aspects of society, hosting civil servants and dignitaries to yoga students and college professors, performance artists and newlyweds. During this period Barnor also captured intimate moments of luminaries and key political figures, including Ghana’s first prime minister, Kwame Nkrumah as he pushed for pan-African unity and independence from colonial rule. Not only was Barnor engaged as the first photojournalist to work with the Daily Graphic, he was also regularly commissioned by Drum magazine, South Africa’s influential anti-apartheid journal for lifestyle and politics. In 1959 Barnor moved to London, then a bourgeoning multicultural European capital to deepen his photographic knowledge. During London’s ‘swinging sixties’, he photographed celebrities such as Muhammad Ali, and portrayed Ghanaian BBC radio journalist Mike Eghan on the steps of Eros at Piccadilly Circus. These years were equally punctuated by Barnor’s first encounters with a multinational cohort of aspiring models and Drum cover girls, who would pose for him against the backdrop of the city’s most iconic monuments. Towards the end of the decade Barnor was recruited and trained as a representative for Agfa-Gevaert, before returning to Ghana in 1969 where he opened the first colour processing laboratory in Accra. For the next two decades, he worked independently as well as for several government agencies in Ghana. Today Barnor is retired and lives in Brentford, London. In 2009, he began working with Autograph ABP and after years of advocacy, curation and research many of his photographs are now widely regarded as iconic moments in photography’s diverse histories, collected and exhibited internationally. Curated by Renée Mussai, James Barnor: Ever Young is made possible by the generous support of the The Kresge Foundation, Autograph ABP and Rebuild’s individual donors, close friends, and volunteers.